Editor's note: The following article first appeared in the May 1 issue of Bicycle Retailer & Industry News. MONTEREY, CA—The last eight months have been a trying and uncertain time for Matt Bracken, Jim Hale and Jay Seiter. CASTRO VALLEY, CA—John Koslosky, owner of the Bay Area’s Castro Valley Cyclery, has virtualized his shop’s weekly club ride. Led by GoPro, action cameras explode at retail. As middle-class incomes rise and consumerism abounds, Western brands feel out future opportunity in the fast-changing country. Editor's note: The following article appears in the April 1 issue of Bicycle Retailer & Industry News. LONGMONT, CO—One of the largest bike manufacturers in the world, India’s Hero Cycles, is looking to start small in the U.S. market. Editor's note: The following article appears in the March 15 issue of Bicycle Retailer & Industry News. 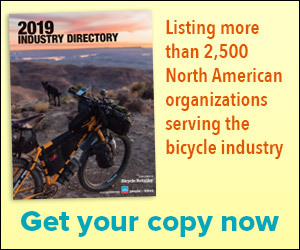 Opus bikes to enter U.S.
Editor's note:The following article appears in the March 15 issue of Bicycle Retailer & Industry News. Editor's note: The following article appears in the March 1 issue of Bicycle Retailer & Industry News.